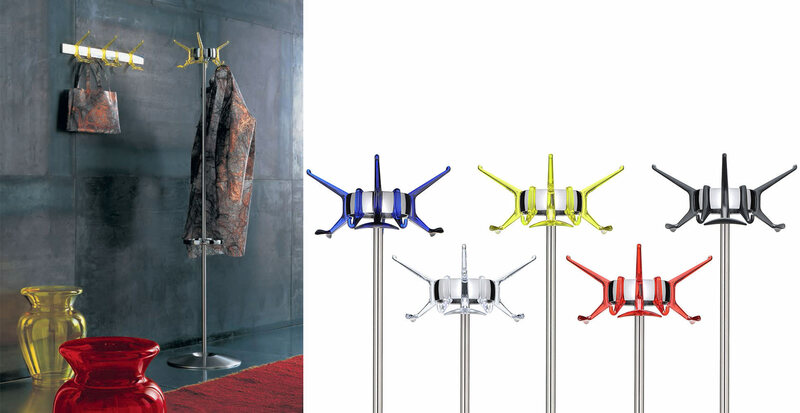 The Hanger clothes stand collection adeptly combines elegance and functionality thanks to the refined combination of colours and finishes and to the design feature adopted. 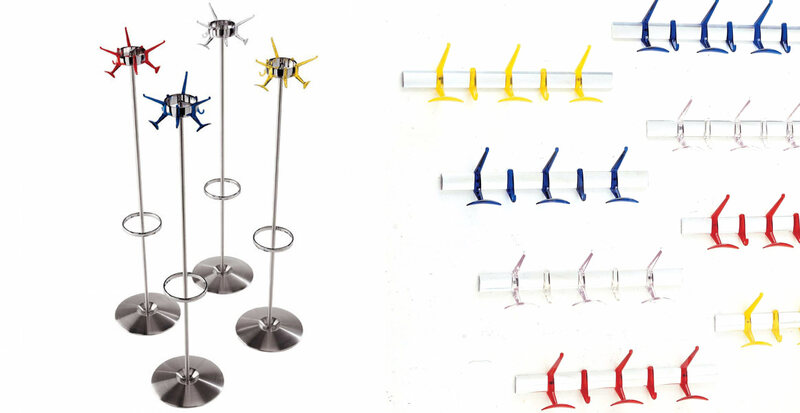 It is available both in pole-mounted version and on a 60 and 90 cm bar. It is equipped with mobile clothes hooks which allow for even more practical usage. The rings are made in a pressure die-casting of polished aluminium. 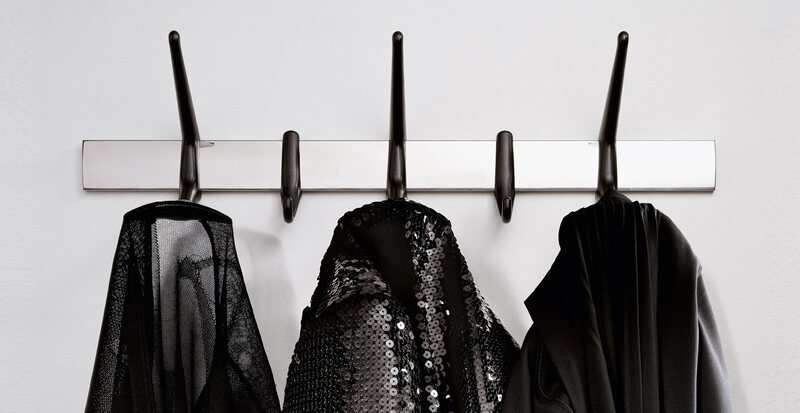 The clothes hooks are made in transparent polycarbonate for the crystal, orange red, cobalt and cedar yellow shades and in opaque polycarbonate for the black version. 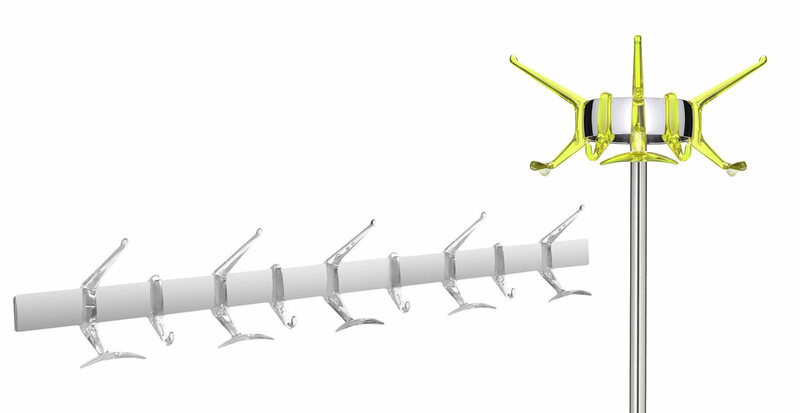 The bar-mounted version allows, by way of simple juxtaposition, the arrangement of a long strip according to taste.